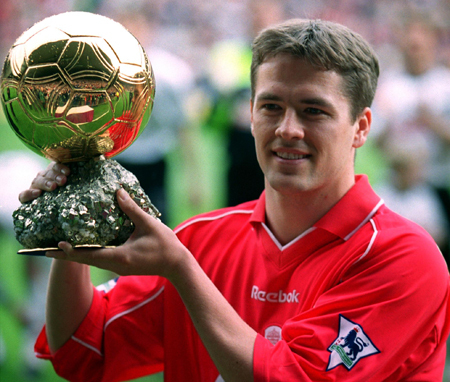 Former England and Liverpool star Michael Owen confirmed he plans to hang up his boots at the end of the season. 33-year-old Owen has made just six substitute Premier League appearances for Stoke (scoring one goal), since joining the club in summer. And yet he will always be remembered as one of the most talented strikers in English football, having scored 158 goals in 297 first-team starts for Liverpool and winning Ballon d’Or award in 2001. Owen netted 49 goals in 89 England caps. The last time he made a first-team start in the England shirt came back in 2007 against Russia. “None of this would have been possible without the tremendous support I have received from managers, coaches, fellow players, back room staff, the supporters and my own personal sponsors. I would like to thank each and every one for the huge role they have played in helping me reach the top of my profession,” he added.